Our orthodontic team consists of highly qualified professionals with many years of experience in the orthodontic field. We pride ourselves on being at the forefront of advances in orthodontic treatment, and enhancing patient relationships by attending continuing education seminars in addition to ongoing training by Dr. Wright. Our team is committed to excellence and the lifelong results of our patients. Melissa enjoys being able to work with her husband Dr. Wright every day. 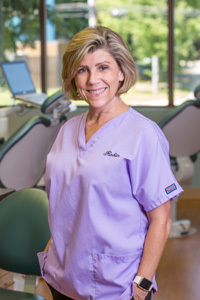 She has more than 25 years of experience in the dental/orthodontic profession and loves being part of an awesome team that creates beautiful smiles. Melissa enjoys spending time with her family, traveling, and the Pittsburgh Steelers. 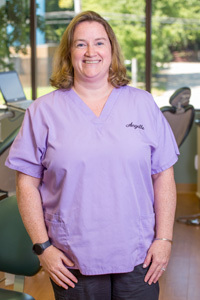 Angelle has more than 26 years of experience in the dental/orthodontic profession and loves being part of the Wright Orthodontic team. 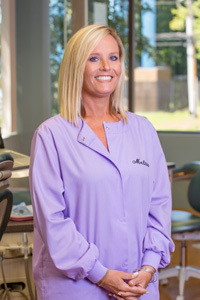 She is a certified dental assistant with expanded duties certification and orthodontic qualified assistant in the State of Maryland along with her X-ray certification. She is also healthcare CPR/First Aid certified. Angelle has two beautiful daughters, Jenna and Caitlyn. Her hobbies include spending time with her family, being a Girl Scout Co-Leader, and playing with her dog Lil Dude and cats BamBam and Dino. She loves watching hockey and football; she is a huge Redskins and Capitals fan! 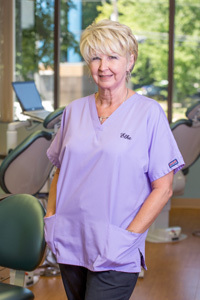 Elke has 35 years of experience in the orthodontic/dental field, all of which have been proudly served here at Wright Orthodontics. She is a certified dental assistant with her State of Maryland X-ray certification. Elke resides here in Severna Park and has a daughter, Kaitlin. She is a great cook and likes to spend time with her family. She also is a fan of the Washington Redskins. Robin has over 20yrs experience in the orthodontic field. She is a Certified Dental Assistant with her State of Maryland x-ray certification. Robin and Her husband reside in Pasadena, they enjoy spending time with their 4 grandchildren. Robin loves Navy football and the Baltimore Ravens. 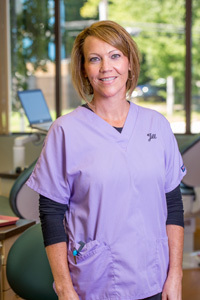 Jill has over 25yrs experience in the orthodontic/dental field. She is a Certified Dental Assistant with her State of Maryland x-ray certification. Jill enjoys spending time with her family, boating and the Washington Redskins.